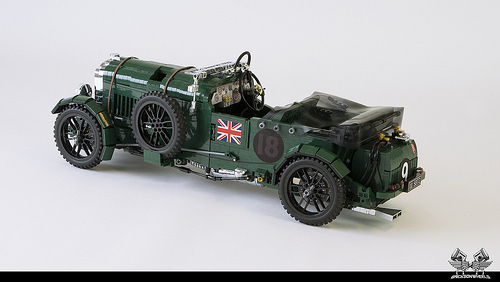 For example, the vehicle’s interior is fully decked out with custom decals for gauges, switches, and a gorgeous steering wheel. The floor is tiled with “wooden” floorboards, and even the brake and throttle pedals are there. It’s a million dollar look for a car that has sold for over $1 million! 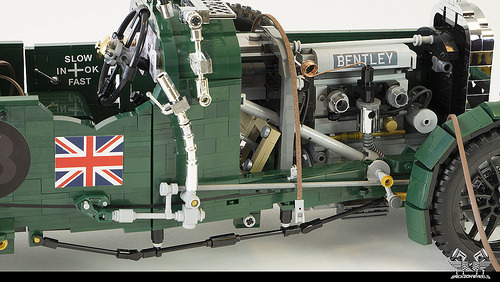 Just like the real thing, the hood can be removed to view an equally exquisite engine. 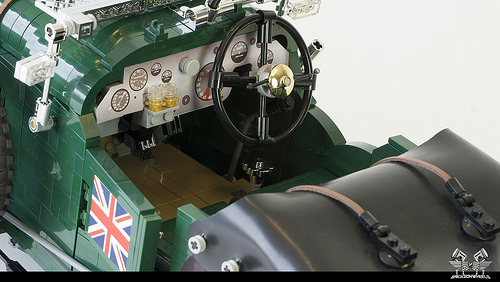 Looking at this shot, it is also really impressive to see how the steering column extends from the dashboard to the chassis. This appears to be an extremely well-planned build. 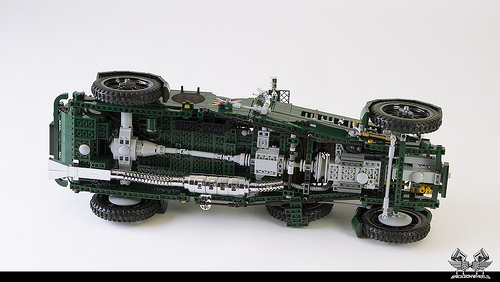 Speaking of the chassis, Bricksonwheels, has done a great job of incorporating chassis details into the model’s underside. When on display, it would do well to have a mirror underneath for people to truly appreciate the effort that went into it. 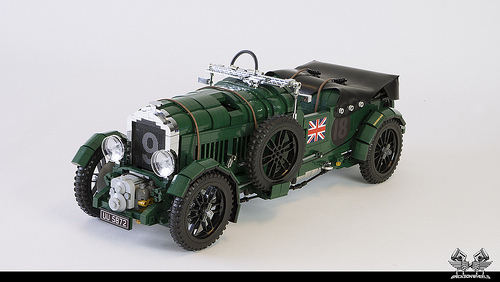 Bricksonwheels has certainly covered all their bases with this build…literally. The car’s crowning detail is a custom-made rubber car cover, just like the one used on the car when racing. It’s hard to not love a model that has this much love put into it.